15 minutes play...BumbleBeans Inc.: scraps!!! I haven't had a chance to go through my swap package from my partner, Susan. She was SO generous. 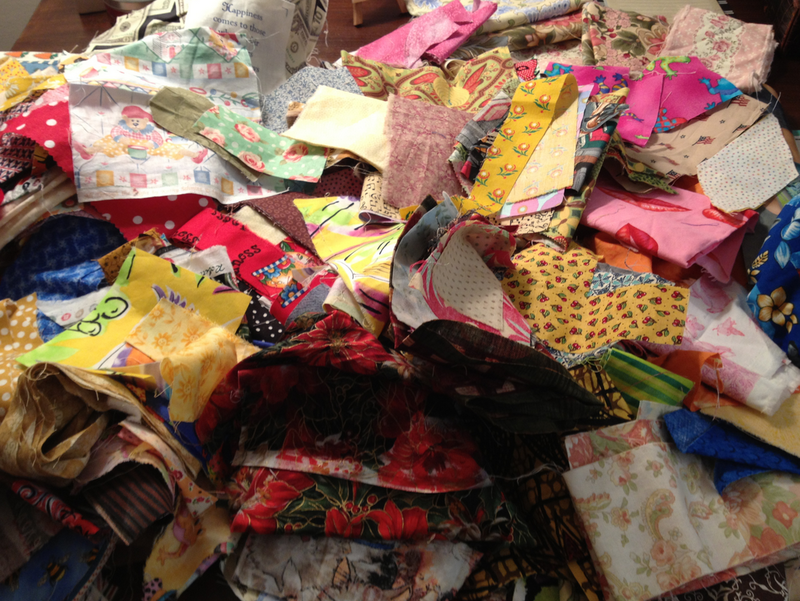 This is such an amazing collection of fabrics. There are so many nifty ones. Elvis, Blue Hawaii! Easily 4 or 5 dozen different prints! I am having a ball looking at these! All kinds of fussy cuts too. You are very welcome, Toni. I love mine too.